Home > Joan Calabrese - Us Angels -Bella -Communion Dresses and Gifts > Joan Calabrese First Holy Communion Dresses - CLICK ON PHOTO TO SEE FULL COLLECTION! > Joan Calabrese-116364-Communion Dress-also in Half Sizes > Biscotti Dress *Porcelain Blues* Out of Stock! 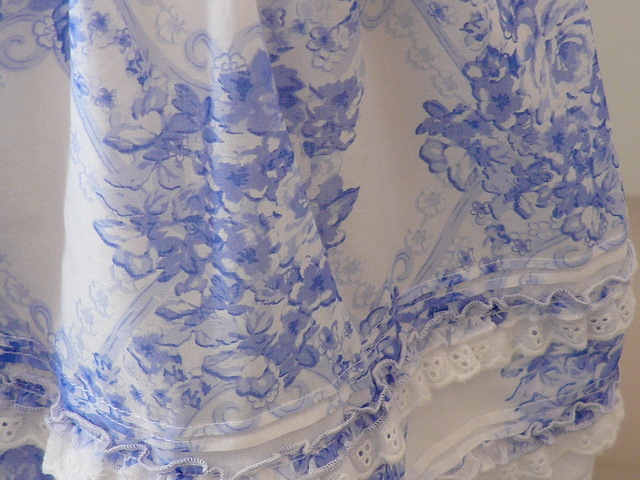 Biscotti Dress *Porcelain Blues* has blue and white toile that's enhanced with ruffle at the hem, puff sleeves, and a back tie to ensure the perfect fit. Perfect for Easter or any Spring party!